This young lady from Costa Rica is made from porcelana fria (cold porcelain). Cold porcelain is an inexpensive, pliable material that is used to mold figures. it hardens when exposed to air. The little girl is sitting on a wooden stool. 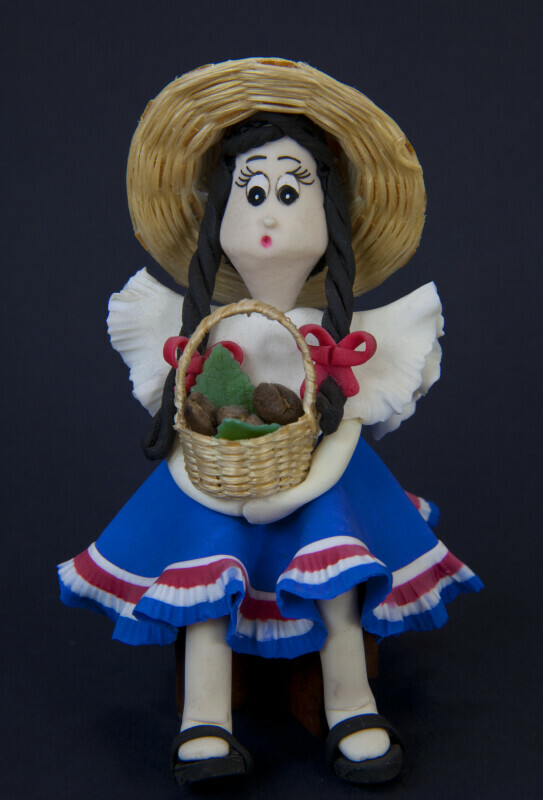 She is holding a straw basket with coffee beans. The main ingredients are cornstarch and white glue. This figure stands 4 inches (10 cm) tall.